A genome-wide association study (GWAS), coordinated by the Genetic Investigation of Anthropometric Traits (GIANT) consortium, has become the first to directly tie specific genetic variations that may directly impact the function of genes associated with body mass index (BMI). The research, published recently in Nature Genetics, discovered variations in 13 different genes that significantly influence the ability of people to either gain or lose weight. Over the past decade, researchers in the GIANT consortium have performed GWAS in hundreds of thousands of individuals to identify genetic variations associated with obesity and BMI. However, until now, the genetic variations they identified were mere “flags” on the genome that highlighted DNA sequences of interest. In this new study, however, the consortium focused on a specific set of genetic variations that are likely to affect the function of genes and their proteins—an approach that expedited the discovery of the causal genes that affect body weight. The study was an international collaboration involving more than 250 research institutions. Genetic data from more than 700,000 individuals and 125 different studies was combined to form the largest genetic association study to date. The researchers identified 14 genetic variations in 13 genes, including a risky copy variation—a phenomenon in which sections of the genome are repeated—that causes carriers to weigh 15 pounds more, on average, than individuals who do not carry the variation. The gene is called MC4R, and approximately 1 in 5000 individuals carry this risk copy, which causes the gene not to produce any of the protein needed to inform the brain to stop eating. 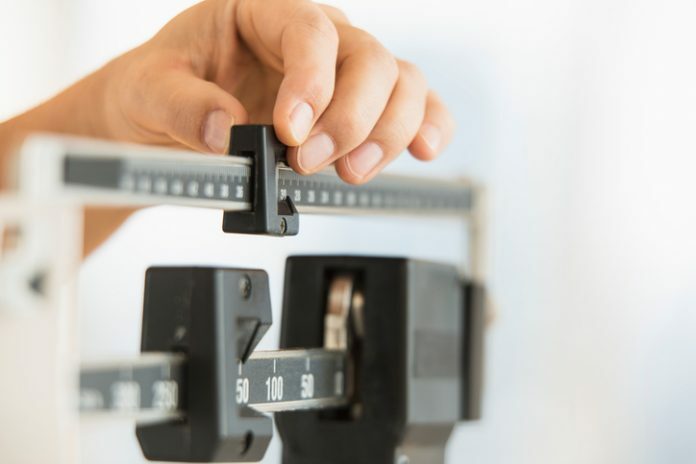 Interestingly, while this variant was identified two decades ago in individuals with extreme and early-onset obesity, the new study shows that it also affects body weight in the general population. Moreover, the researchers identified two variants that may affect the function of a gene called GIPR. Approximately 1 in 400 individuals carry a protective copy of either variant, and they tend to weigh an average of 4.5 pounds less than noncarriers. Eight of the 13 genes identified were newly implicated in obesity and will require further follow-up to understand the mechanisms through which they affect body weight. “By considering the genes as a group rather than one-by-one, we could highlight specific genes that both had strong support from genetics and that likely carry out functions that we predict to be important in controlling body weight,” said Joel Hirschhorn, M.D., Ph.D., Concordia Professor of Pediatrics and Professor of Genetics at Boston Children's Hospital and Harvard Medical School, co-director of the Metabolism Program at the Broad Institute and the GIANT consortium. By knowing the genes and the biological pathways through which they work, researchers believe they are a few steps closer to understanding why some people gain weight more easily than others, which is critical for developing effective treatments.